North Carolina’s conservation trust funds are an investment in local business and tourism in the greater Charlotte region. Land and water are North Carolina’s most important economic assets. 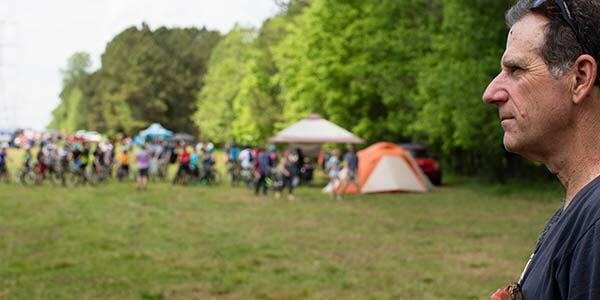 The Charlotte Region’s major economic engines – agriculture, tourism, urban and rural outdoor recreation and a booming local artisan food and drink industry – all depend on land and water conservation. Watersheds and stream buffers – preventing polluted runoff, reducing the cost of water treatment for local governments, saving customers money. Parks, trails, and scenic areas – boosting the state’s $20 billion tourism economy. And enhancing North Carolina’s quality of life and ability to attract new families and businesses. Farmland – protecting working family farms to support the state’s $84 billion agricultural industry. Partnerships between government agencies, conservation groups, and private landowners work to protect our natural resources, support major economic sectors, and strengthen our local communities. The value of these partnerships demonstrates the cooperative spirit of all North Carolinians working together to preserve the past while making our future brighter. Demand for trust fund grants far exceeds available resources. More than 70 percent of registered voters support restoring state funding for the conservation trust funds to $100 million to protect water quality, conserve working farms, and preserve parkland and historic sites. North Carolina’s conservation trust funds have invested more than $47 million in Catawba, Gaston, Iredell, Lincoln, Mecklenburg, and Union County projects that support rural economic development and the creation of parks, and natural areas. These investments preserve the Charlotte region’s unique natural features so our state continues to be a wonderful place to work, play, and raise a family.